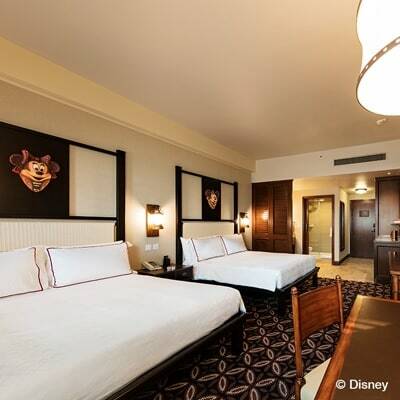 Subscribe to get deals from hundreds of merchants including the best of Hong Kong Disneyland Hotel ! Oops! Looks like there are no active promotions for Hong Kong Disneyland Hotel . Book any 2D/1N hotel stay and a Hong Kong Disneyland ticket offer with your Standard Chartered Card to receive a complimentary HKD50 merchandise gift voucher. Valid till 30 Nov 2018. Offers are valid for Standard Chartered Credit Cardholders from Korea and Standard Chartered Credit and Debit Cardholders from Singapore, Malaysia, Indonesia, Vietnam and Taiwan.. Visit sc.com/sg/promotions/hong-kong-disneyland-offer for more details and full Terms and Conditions. Please always check with the merchant on the validity of the promotion before purchase. From now till 31 October 2018, simply book any 2D/1N hotel stay and 2 Hong Kong Disneyland tickets with your Standard Chartered Card to receive complimentary HKD 100 merchandise gift voucher. From now till 15 July 2018, simply book tickets with your Standard Chartered Card and get complimentary HKD50 merchandise gift voucher with park ticket offers. From now till 30 June 2018, simply book any 2D/1N hotel stay and a Hong Kong Disneyland ticket offer with your Standard Chartered Card to receive a complimentary HKD50 merchandise gift voucher.